Visit at Mike Camplin - tipplerzuechters Jimdo-Page! 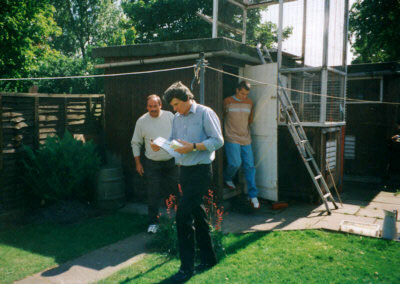 On 18.05.1997 my family and me visited Mike Camplin. As you can see on the photo, we were standing in front of his loft in Wolverhampton. 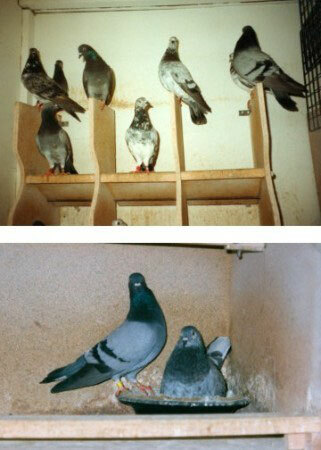 The two others pictures show some pigeons of his breed stock and some which I took back to Germany. These pigeons are original Jack Boden.